Dr. Mark Wainberg, a Montreal-based trailblazer in HIV/AIDS research and an internationally renowned scientist, died Tuesday after swimming in rough water in Bal Harbour, Fla. He was 71. Bal Harbour police confirmed Wainberg’s death yesterday. Acting police chief Miguel De La Rosa said authorities had posted a warning on the beach Tuesday about high surf and high current conditions. De La Rosa said Wainberg’s family was with him and his son had tried to rescue him. By the time officers arrived, Wainberg was already on the shore, said De La Rosa. He was transported to hospital, where he was pronounced dead. A leader in the fight against HIV/AIDS, Wainberg was, at the time of his death, lead investigator at the Lady Davis Institute for Medical Research at the Jewish General Hospital and director of the McGill University Aids Centre. He was also a professor in the departments of microbiology and immunology, medicine and pediatrics at McGill. The HIV/AIDS research pioneer has been recognized for his part in the discovery in 1989 of the anti-viral drug 3TC, or Lamivudine, which is used in combination with other medications to treat the infections caused by HIV. “There were many discoveries related to Dr. Wainberg, but not only discoveries, he was a leader — an international leader,” said Dr. Réjean Thomas, the co-founder and CEO of Clinique Médicale L’Actuel, a clinic that tests and treats sexually transmitted infections and diseases, who worked with Wainberg for more than 30 years. Dr. Cécile Tremblay, an infectious disease specialist at the University of Montreal and researcher at the CHUM Research Centre, said Wainberg was her mentor from the time she was a medical student 25 years ago. Wainberg is known for his contribution to the field of HIV drug resistance, helping to identify many of the mutations in the HIV genome responsible for drug resistance. 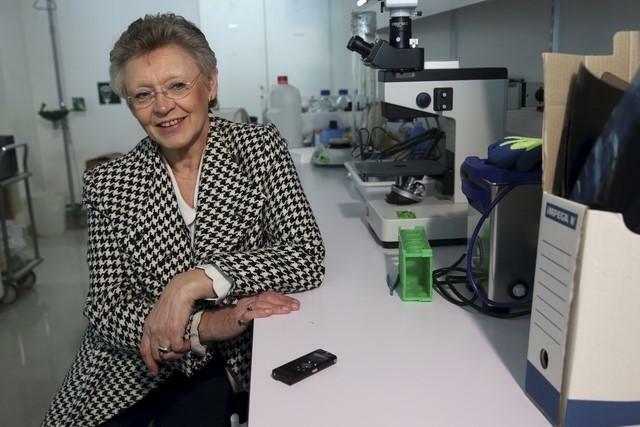 “[He] was instrumental in shaping how we use these drugs nowadays, so that they have become so much more efficient than what they were in the past,” she said. The Canadian Medical Hall of Fame also recognized Wainberg for his accomplishments in improving the lives of people living with HIV. “This once baffling and almost uniformly fatal disease is now treatable, survivable, and increasingly controlled in much of the world. One of the people significantly involved in this tremendous human achievement is Dr. Mark Wainberg,” the Hall of Fame’s website says. Wainberg devoted his life’s work to AIDS research and HIV/AIDS awareness, serving as president of the International AIDS Society from 1998 to 2000. He helped organize the 13th International Congress on AIDS in South Africa, in 2000. Wainberg was also a recipient of the National Order of Quebec and the Order of Canada. Our thoughts go out to Mark’s family and friends at this difficult time, RIP Mark we thank you for your work. In a remarkable step forward in the potential treatment of HIV, scientists in California have successfully created a cell population that is resistant to the disease. The new approach, described as a form of “cellular vaccination” aims to offer long-term protection for patients by tethering HIV-fighting antibodies to their immune cells. Jia Xie, senior staff scientist, said: “The ultimate goal will be the control of HIV in patients with AIDS without the need for other medications,” as even with antiretroviral drug treatments, people with HIV still suffer much higher incidences of cancer and other deadly diseases. The new technique is superior to therapies where antibodies float freely in the bloodstream at a relatively low concentration, as the antibodies hang on to the cell’s surface blocking HIV from accessing a crucial receptor and spreading infection. Known as the ‘neighbour effect’ the team showed that resistant cells could quickly replace diseased cells, potentially curing a person of HIV through gradual displacement. In essence, the researchers had forced the cells to compete in Darwinian ‘survival-of-the-fittest’ selection in a lab dish. Cells without antibody protection died off, leaving protected cells to survive and multiply, passing on the protective gene to new cells. 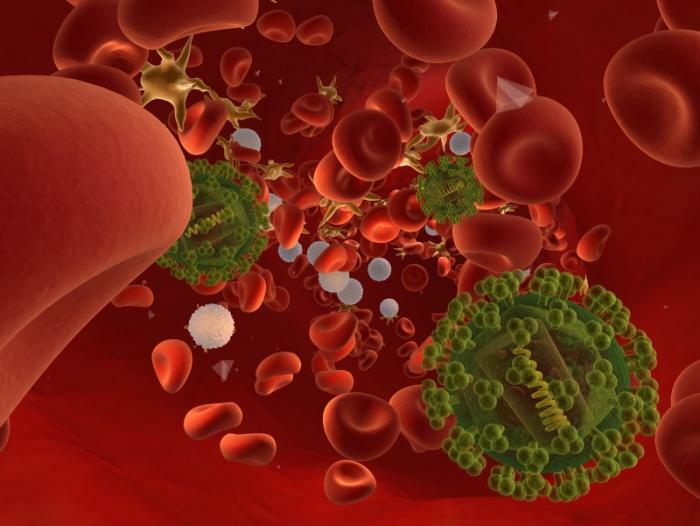 To infect a person, all strains of HIV need to bind with a cell surface receptor called CD4, so the team at the Scripps Research Institute and City of Hope research centre near Los Angeles, tested antibodies that could potentially protect this receptor on the very immune cells normally killed by HIV. The antibodies recognized the CD4 binding site, blocking HIV from getting to the receptor. The next step in this research is to try engineering antibodies to protect a different receptor on the cell surface, according to Xie. So what’s the deal on sugar if you’re HIV Positive?? Posted on February 17, 2016 by Tom | Comments Off on So what’s the deal on sugar if you’re HIV Positive?? While we all know that sugar in moderation is best, researchers say that starving HIV of sugar may put a stop to the virus. When the virus enters an activated immune cell, it takes energy from sugar and nutrients in order to replicate. Cut off the supply of sugar, the theory goes, and HIV can’t replicate in the cell. Now researchers at Northwestern Medicine and Vanderbilt University say they’ve found a way to cut off the sugar pipeline to the immune cell, which in effect, would starve the virus. This new approach has several benefits, including applications to cancer treatment (another disease with a powerful sweet tooth) and reduction in organ damage in HIV-positive patients. HIV causes an abnormal proliferation of immune cells, which can cause inflammation and damage to organs over time, even in patients who are on antiretroviral treatment. “This discovery opens news avenues for further research to solve todays persisting problems in treating HIV infection: avoiding virus resistance to medicines, decreasing the inflammation that leads to premature aging, and maybe even one day being able to cure HIV infection,” says Richard D’Aquila, director of Northwestern’s HIV Translational Research Center. Now, we’re not advocating reducing your sugar intake to zero. Our bodies need sugar to survive and the information above relates to clinical procedures in the lab. There’s lots of scaremongering in the news lately about the need to reduce sugar, the war on sugar and many people are coming out to inform us all how bad it is! As a nation, we’re being told we need to seriously reduce our sugar intake and recent reports have destroyed the notion that it’s OK to indulge a sweet tooth, even modestly. In all cases, “sugar” here means added sugar. This is the type added to processed food and present in honey, syrups and juices, rather than lactose (the sugar in milk) and the sugars in whole fruits and vegetables. 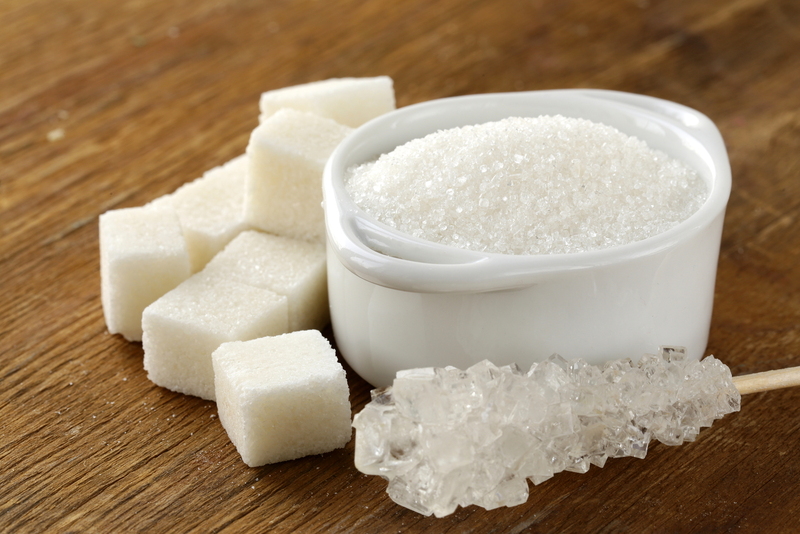 Limited to 3 per cent of total energy, sugar intake equates to just 15g a day, or fewer than four level teaspoons. This means no more sweet treats (a slice of Battenburg contains 24g), and restricts the eating of even nutritious foods such as yogurt (a pot of the strawberry variety typically contains 14g of free sugars). But is this recommendation actually desirable or practical? “The claim that sugar should contribute only 3 per cent of energy is not based on good quality scientific evidence,” says registered nutritionist Sigrid Gibson. Behind the Headlines, the section of the NHS Choices website that evaluates health news stories, agrees, writing that the BMC Public Health study has “many potential limitations, thereby reducing its reliability”. “For tooth decay, between-meal snacking is the problem,” says Gibson. Despite the clamour to cut sugar to help solve the obesity crisis, the evidence isn’t clear-cut here either. In fact, in many countries there is a “sugar-fat seesaw”, with those reducing their sugar intake eating more fat, which has more than twice the calories of sugar. A 50g limit allows for normal family meals, including a bowl of bran flakes, a small (150ml) glass of orange juice, pot of fruit-flavoured yogurt and a digestive biscuit every day. “Scare-mongering messages about sugar perpetuate a myth that individual nutrients are good or bad, while we should be talking about dietary patterns as a whole,” says Gibson. In short, yes it’s a good idea to control your sugar intake but not because of your HIV status or because there’s a push to inform people that sugar is bad. It’s important to understand sugar in context. The best nutritional advice has always been to eat a variety of foods and that a varied diet can include sugars. While a diet high in sugars and sugar-containing foods may impact on calorie intake and weight, and therefore on diabetes and heart disease, sugar-containing foods particularly those that contain other nutrients can be included in a balanced diet. Comments Off on So what’s the deal on sugar if you’re HIV Positive? ?